This large architect-designed detached residence is the perfect family home. 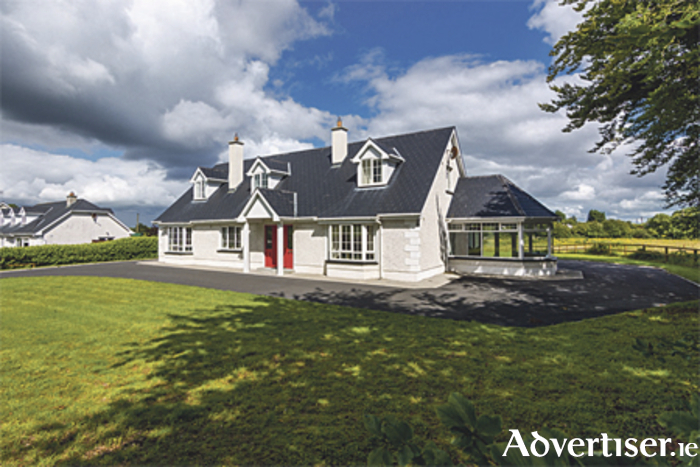 Located at a private site at Curraghmore Road, Athlone, the home is just a short drive from town and all local schools and amenities. Presented in pristine condition throughout, this fine house is very suitable for family living. The interior of the home consists of five bedrooms, three reception rooms, five bathrooms, and a sun room. The exterior of the home offers spacious gardens, a detached garage, and ample car parking space. The property is approximately 303.8 square meters with a BER C3 rating.